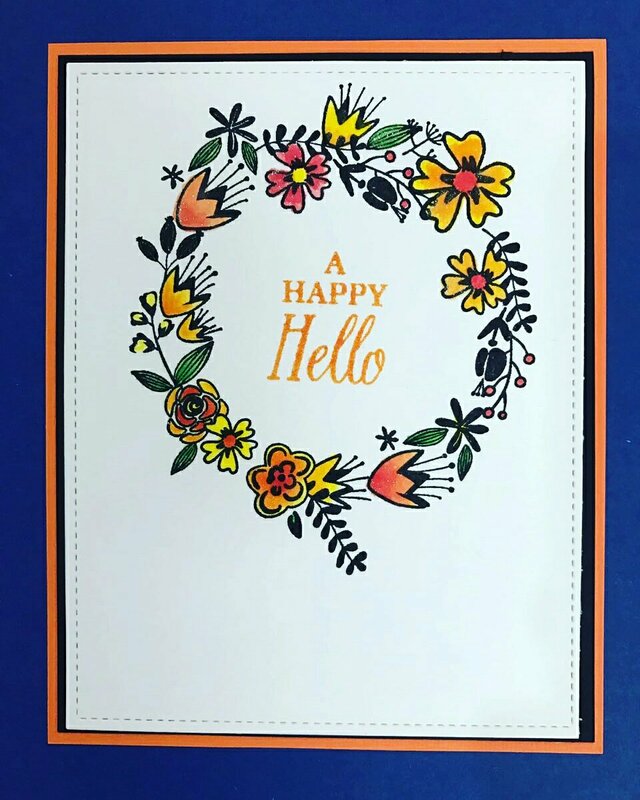 So glad you are joining me as I share a floral card made of small stamps. 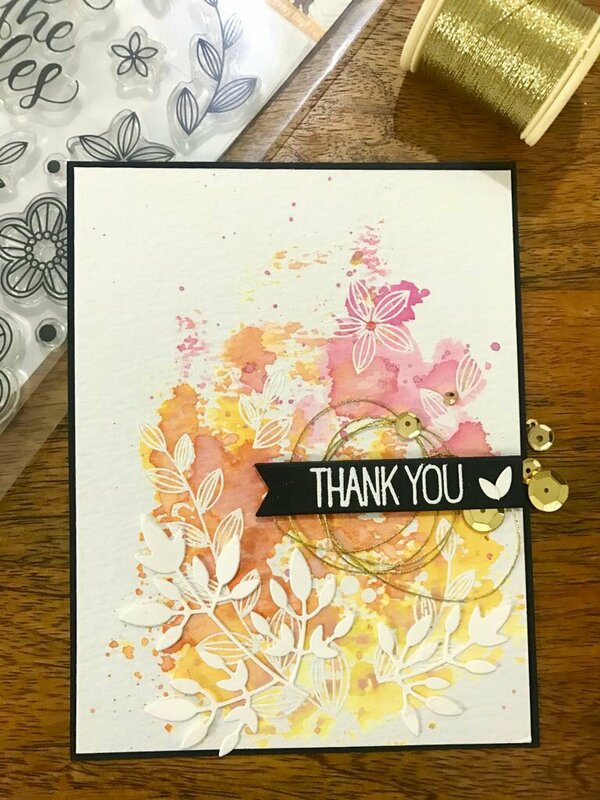 For this card I first did water color stamping withdistess inks and clear heat embossed to lock the colours and then inked the card panel with distress inks in shades of blue. Once the panel was ready I cut it and mated it as per my card design. 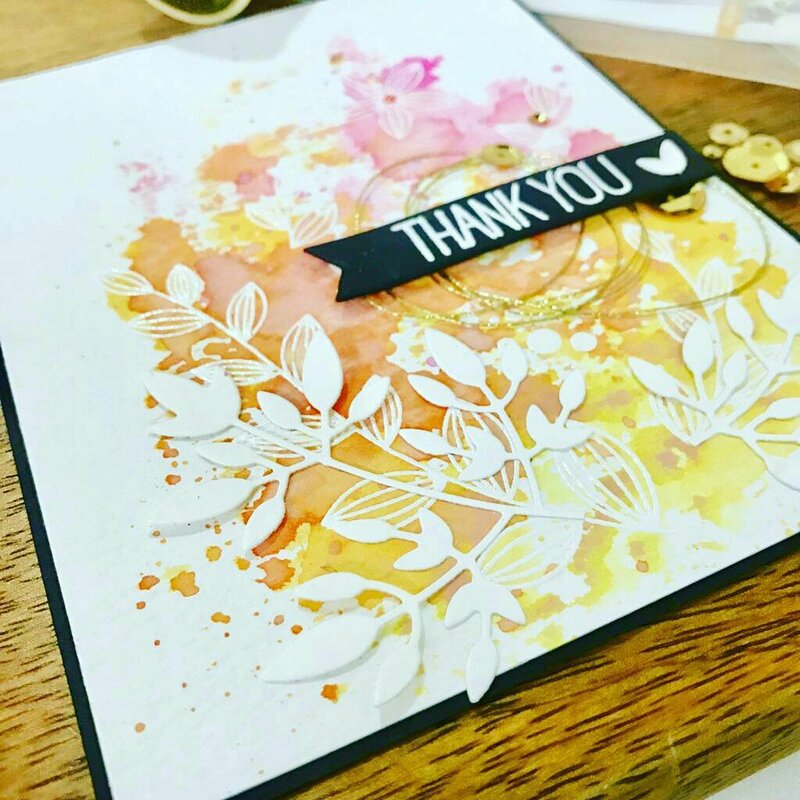 I add the word die cut for sentiment to finish the card. I am so happy with the texture and colours on this card. I hope you liked it too. 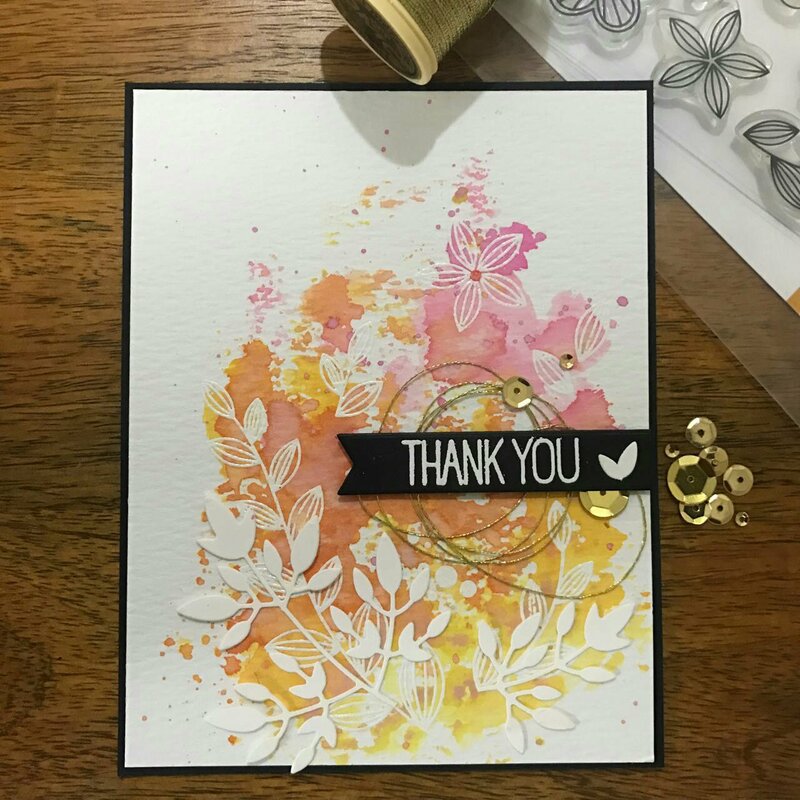 This card is inspired by the challenge at inkspirational challenge where the challenge is to use small stamps. That’s all for now. Have a great day and do let me know what you think about the card. I appreciate and love reading your comments. Thanks to the challenge at inkspirational #142 that my very first stamp got love after a long time. The challenge is to use the first stamp and this lil design stamp was my first. For sometime I used to use this stamp at the back side of the card n pen my details. I guess I am going to start doing that again. This was really nice challenge n I loved playing along. Thanks so much for dropping by. Have a nice day.